The Florida Escape is a 6 bed, 4 bath executive villa situated on the prestigious Windsor Hills Reserve only 2 miles from Disney's Main Gates. The villa has been furnished to a high standard to enable our guests to have the comfort of a home from home during their stay. Each of the 6 bedrooms; 2 with King sized beds and ensuite bathrooms, 1 with a Queen sized bed and adjacent bathroom, 2 twin bedrooms and 1 with bunk beds, the bottom bunk being a full size bed, have 26” LCD flat screens with either integrated or separate DVD player. The family room has a 55” LG UHD 4K Flat Screen with Digital Cable TV, Home Theatre Entertainment System and a Sony PlayStation 3 Games Console. Free calls within the US and Canada. Free high-speed wireless internet access throughout the villa and pool area to keep in touch while on holiday. Internet access is also available via a Dell Desktop PC provided. There is a formal Living & Dining Room in case you would like to dine more formally or just want a bit of space. The high spec kitchen is fully equipped with everything you could possibly need should you choose to eat in. Air Conditioned Game Room with full size 7ft Pool Table, Foosball, Darts Board, 40" Sony LCD Flat Screen & DVD Player, Xbox 360 & Wii Video Games Consoles, Sony Micro HiFi System with Built-in iPod Dock and Bar with Stools. The perfect place to wind down. Outside is a covered lanai with screened heated swimming pool and tub. Loungers, together with a table and chairs have been provided to enable our guests to make the most of the outdoors. There is also a Gas Grill should you wish to have a BBQ. Where better to relax on days off or after a busy day at one of the parks. Windsor Hills is a secure gated community and all guests have access to all the resort's many facilities. Situated in the Club House is a Fitness room with state-of-the-art equipment, billiards and video game area and Sundry shop. There is also a 50 seat surround sound movie theatre where it is possible to watch your own choice of film as well as anyone else’s. There is also a water park pool complete with its own water slide and spa. Shuttle buses are available to the Parks. (5) Cordless Phones in Living Room and 3 Main Bedrooms. Overall, property was in good condition. Some kitchen appliances need upgrading. Jack D.Where do you live? Our family enjoyed the size of this property very much. Kitchen stove/oven as well as dishwasher could use some upgrading. Also, we paid the extra dollars to have heated pool for the week but despite several calls to the management company, an on site visit by a pool technician, the temperature of the pool never reached 85 degrees. That was the biggest disappointment for our four grand daughters who love to swim.. we would like a partial refund for the inconvenience. The washer and dryer on the property as well as entertainment opportunities were great! The house was very spacious and nice. Everything went well. The lanai had tears in two of the screens and a squirrel got in and right back out, but we loved the private pool, great for the grandkids. Bedrooms had plenty of room and the beds were great. Stayed at this beautiful property during spring break for 10 days. It was perfect for two families (4 adults and 4 children in total). The house was very clean and had everything we needed to enjoy our vacation. Lots of things to entertain the kids with from pool, spa, games room, Xbox, PS2, and Wii. The cooking facilities between the kitchen and BBQ gave us lots of options for different meals. The kids loved the Disney themed rooms and bunk beds were a hit too. Carolyn was amazing to rent from. We had a couple minor issues with a cracked coffee pot and the toaster wasn't working properly. We had a new toaster delivered to the host the same day we reported the issue to her and a new coffee pot was delivered the very next day. 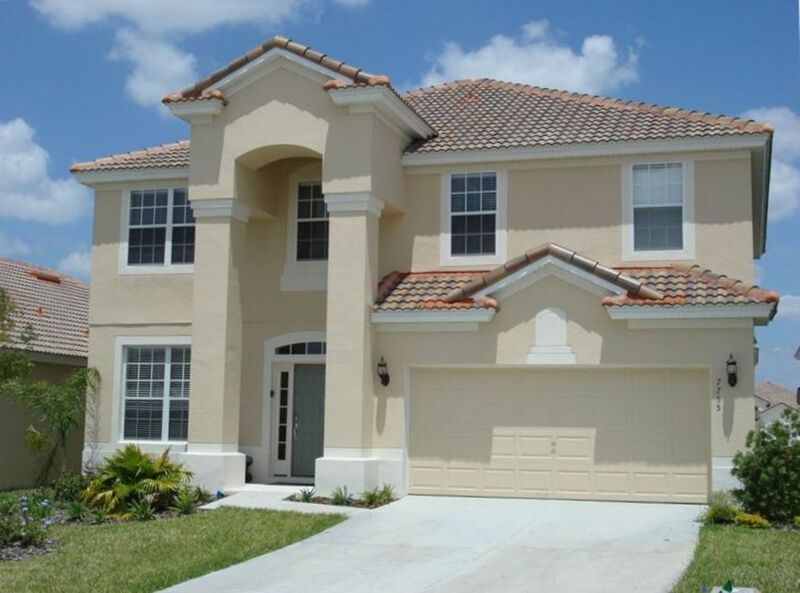 In addition to the house, the Windsor Hills community is perfect for a Florida getaway. Whether you want to visit Disney or just hang out in the beautiful sun it's absolutely perfect. We spent most of the afternoons at the large community pool which also features a splash pad and water slides which the kids thoroughly enjoyed. Overall another incredible Florida vacation and I would definitely rent this place again and refer it to friends and family. Thank you Carolyn for being a fabulous renter and easy to deal with. Overall, very nice big home, clean. Just remember to bring all supplies including things like paper towels, extra tp , coffee filters, soap, dishwashing liquid, laundry soap, salt, pepper, etc. pool was cool but very clean! Resort pool was amazing! Communication with the owner was very good. She answered all our questions completely and quickly! We do provide starter items, eg toilet paper, kitchen paper, hand soap and dishwasher tablet, but essentially this is a self catering holiday and as such it is the guests responsibility to provide for themselves once these run out. We loved ot here and carolyn was so prompt from booking to departing, what else could ee have asked for. PlayStation 3 doesn’t work. At least it wouldn’t turn on for us. Wii - only got 1 controller to work. 2 children. Pool table cues need to be refurbished- no felt tips. Earthworms in the pool almost daily. Sorry to hear you had a few issues during your stay. If you had let either us or our Management Company know we could have rectified them for you. The villa is checked before each guests arrival, but unfortunately from time to time some things are missed. If one of the games console remote was kept off the charger then that remote will not work. Earthworms in the pool is not a regular occurrence this is the first time we have heard about them. Windsor Hills is a secure gated community and all guests have access to all the resorts many facilities. Situated in the Club House is a Fitness room with state-of-the-art equipment, billiards and video game area and Sundry shop. There is also a 50 seat surround sound movie theatre where it is possible to watch your own choice of film as well as anyone else’s. There is also a water park pool complete with its own water slide and spa.